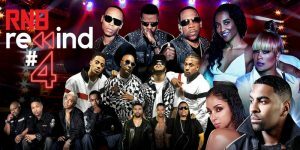 The 4th Annual RNB Rewind Fest Hits Downtown LA’s Microsoft Theater! On Saturday, January 19th, the 4th Annual RNB Rewind Fest was held in Downtown Los Angeles at the Microsoft Theater. This celebration of classic 90’s R&B music brought fans young and old to the sold-out event. Hosted by Bobby Dee Presents, the night included performances by Mya, Ginuwine, Bel Biv Devoe, Dru Hill, Next, 112 and ended with TLC. Each of these artists took everyone in attendance back in time and the excited audience was more then happy to be on this particular time machine. 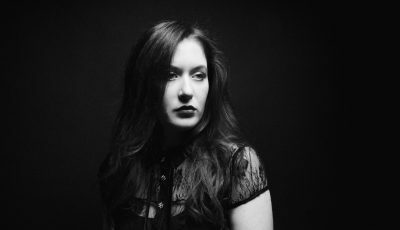 In between acts, the LA-based DJ Cazel played a mix of old hip-hop tunes that truly set the mood and got the crowd on their feet for most of the show. Concert-goers even cheered him on he spun favorite tunes throughout the night. 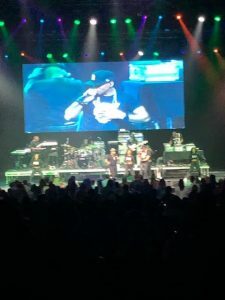 This All Access writer was able to catch the second half of the show which included sets by Ginuwine, Bel Biv Devoe and TLC. The second half of the concert began when the crooner Ginuwine entered the Microsoft Theater stage. This singer began his career as a member of Swing Mob in the early 1990s. Eventually, he became a solo artist in the mid-90s and released a number of multi-platinum and platinum-selling albums and singles, becoming one of R&B’s top artists during the late 1990s and early 2000s. “Pony” was his breakout single in 1996 and “Differences,” “So Anxious,” “In Those Jeans” and more soon followed. Fortunately for this crowd, he performed all those hits and a few more. 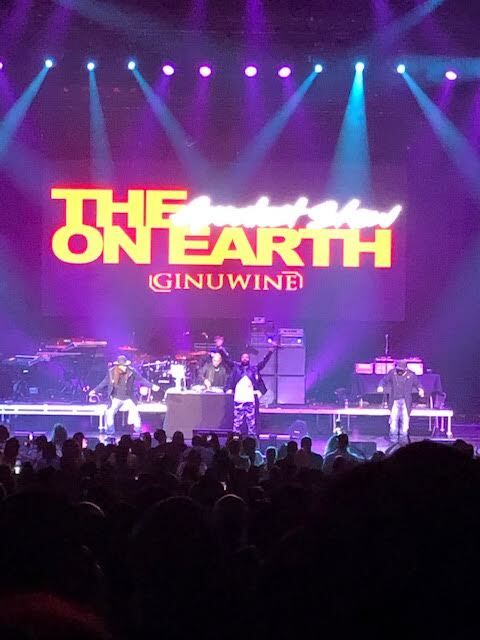 Throughout Ginuwine’s lively set, the women in the crowd couldn’t be silenced. They sang along and “oohed” and “aahed” over every movement the singer made onstage. Many times, he climbed down into the crowd to shake hands with people and even hand the mic to a few lucky ones to sing a line or two. At one point, during a slower song, Ginuwine asked everyone to put their phones up in the air with the lights on. Then he dedicated the next song to a number of his favorite artists that have passed away; Prince, Michael Jackson and Whitney Houston. Towards the end of the set, he and his back-up guys tossed out a bunch of single red roses out into the crowd. As soon as Bel Biv Devoe took the stage, their elaborate and synchronized choreography was truly impressive. For all being 50+, these gentlemen still have those iconic moves! They performed a selection of their greatest hits like “When Will I See You Smile Again,” “Something In Your Eyes,” along with a few even older New Edition tracks like “Candy Girl,” “Mr. Telephone Man” and others. Throughout their set, they continued to thank the crowd for supporting them for so many years. They truly seemed to really enjoy themselves on stage and they couldn’t stop smiling. TLC wrapped up the night with a set full of hits. TLC was formed in 1990 and the original line-up consisted of Tionne “T-Boz” Watkins, Lisa “Left Eye” Lopes and Rozonda “Chilli” Thomas. They scored nine top-ten hits on the Billboard Hot 100, including four number-one singles “Creep”, “Waterfalls”, “No Scrubs”, and “Unpretty.” Having sold over 65 million records worldwide, TLC is the best-selling American girl group. Following Lopes’ death in 2002, instead of replacing her, the remaining members chose to continue as a duo. 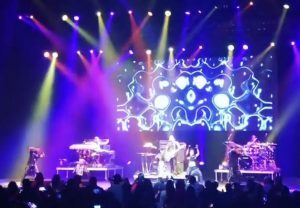 Chili and T-Boz did just that for their sold-out crowd at Microsoft Theater. They ended the concert event with one long dance party. They sang “Ain’t Too Proud To Beg,” “Baby Baby Baby,” “Creep,” “Red Light Special” and of course, “Waterfalls.” The crowd belted out every word of all these hits right along with the ladies who seemed very happy to be back on the stage. For music lovers looking to escape the new year and enjoy all the oldie but goodie R&B tunes from the 90s, the 4th Annual RNB Rewind Fest was the perfect way to spend a Saturday night! 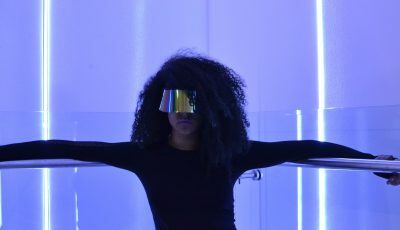 Mongolian International Pop Star NOMINJIN Talks About Her Newest Single “Kiss Me At Midnight” and Her Upcoming EP, “Free Soul”!